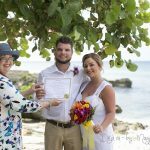 By the time I met the lady below, I felt like I knew her, since we have been corresponding for over a year about her wedding anniversary and vow renewal in the Cayman Islands. 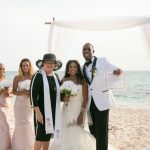 Since she and her family had vacationed jn Cayman before, she knew she wanted the ceremony at the Wharf's private beach, followed by dinner and cake cutting for herself and her husband of 39 years as well as their two daughters. 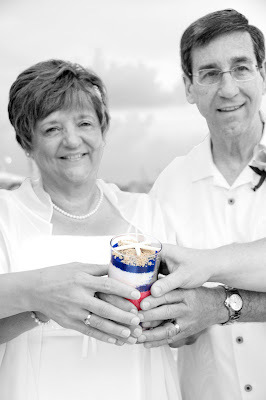 You can add a souvenir of your trip to the top of the Memory Vase, in this case I gave them a small starfish. Posing with their Vow Renewal Certificate and the whole group. 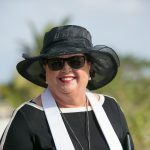 Little touches co-ordinated by Peggy of Simply Weddings made this a memorable event. Photography by Dubadah Boldeau. Call Joy or Peggy at +1 345 949-9933 to arrange your wedding vow renewal on one of the beautiful beaches of the Cayman Islands. 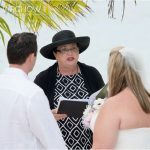 When you are looking for a simple, elegant, personalised event Simply Weddings- Grand Cayman Wedding Celebrants and Planners is your first choice.